Kids love sharks! 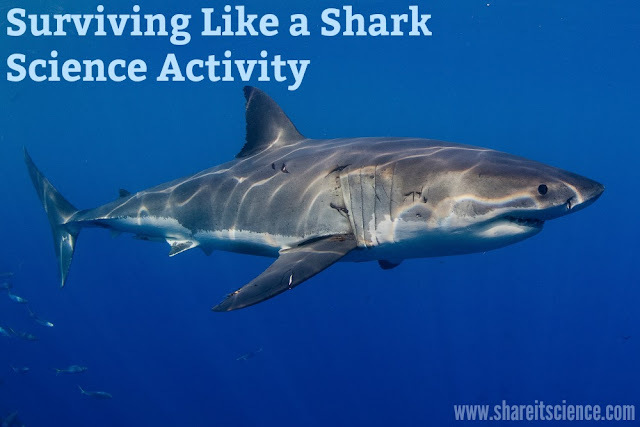 In this post you will find a book recommendation for a hilarious, yet factual, children's book about sharks, and an active science modeling activity for exploring the lives of sharks and the movement of food energy through an ecosystem. 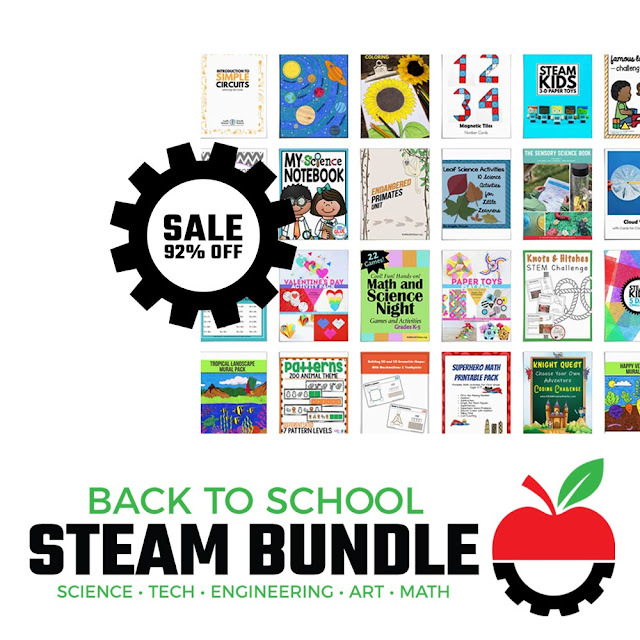 Both the kid's book and science activity are great for your upper elementary school-aged kids at home or the students in your classroom. 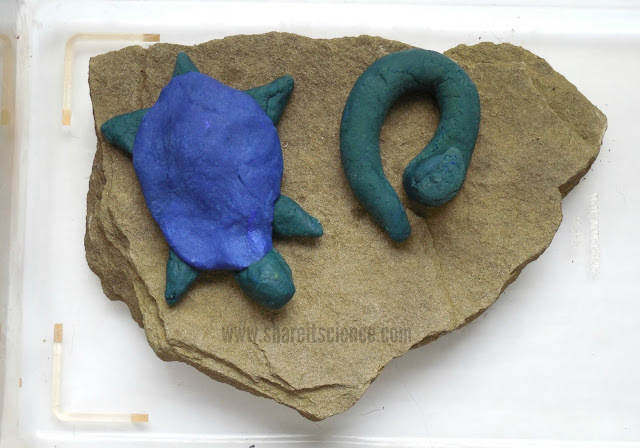 The modeling activity will get kids moving while building understanding of trophic pyramids and food chains. 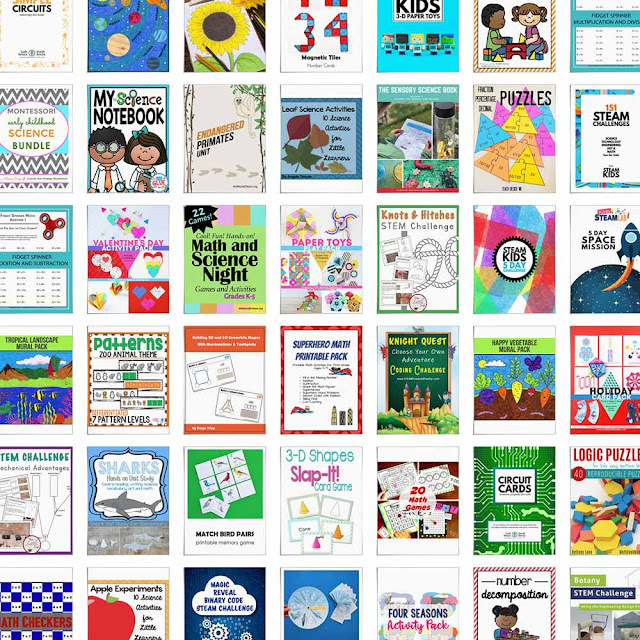 If you are a teacher aligning your lesson plans with the Next Generation Science Standards, you will also find links for standards that this activity will help you meet. This post contains affiliate links, meaning I will receive a small commission (at no additional cost to you) if you make a purchase after clicking a product link. Please see disclosures page for more information. First of all, a read-aloud of Kristen Foote's How to Survive as a Shark is a must. 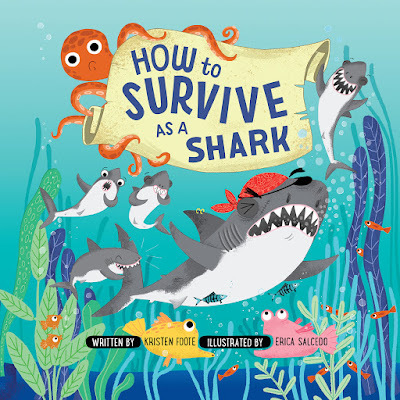 This funny children's book, illustrated by Erica Salcedo, includes science facts about the life of sharks, white sharks in particular, their important place in the ecosystem, adaptations and more. This book is perfect for upper elementary students. They enjoy the humor and understand the science. Even the kids who think they are too old for picture books get a kick of this one! The end of the story includes some discussion on what was realistic and what was fictionalized for the sake of presenting the information in the style of a humorous picture book. It is an all around great book for home or the classroom! 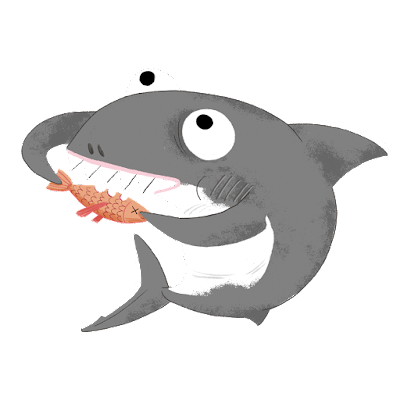 If you are reading How to Survive as a Shark as an intro to the activity outlined below, the strongest tie-in to the food chain and energy transfer is the discussion and illustration of the food pyramid (or trophic pyramid). In this story, white sharks are the apex predator. 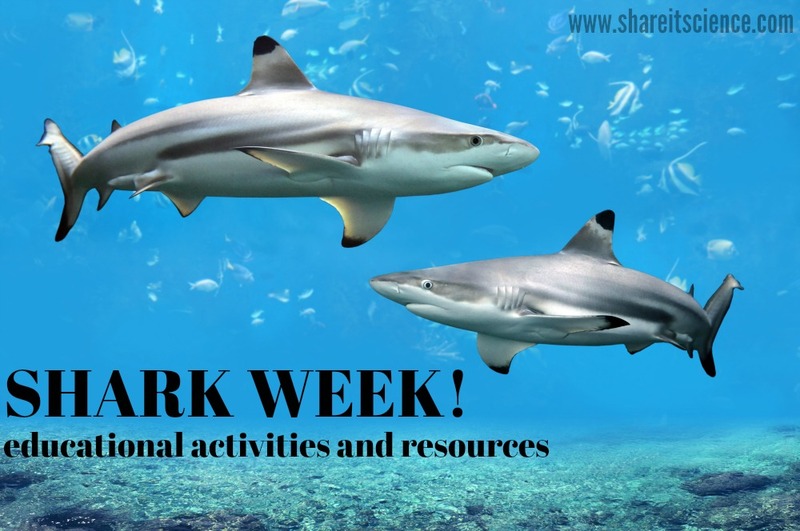 Depending on the species of shark, sharks may not always at the tippy top of their food chain. The food pyramid, discussion of the different levels of consumer and apex predators is a great introduction to the energy transfer activity below. For more standards-aligned activities to accompany books in the "How to Survive" series, head on over here. 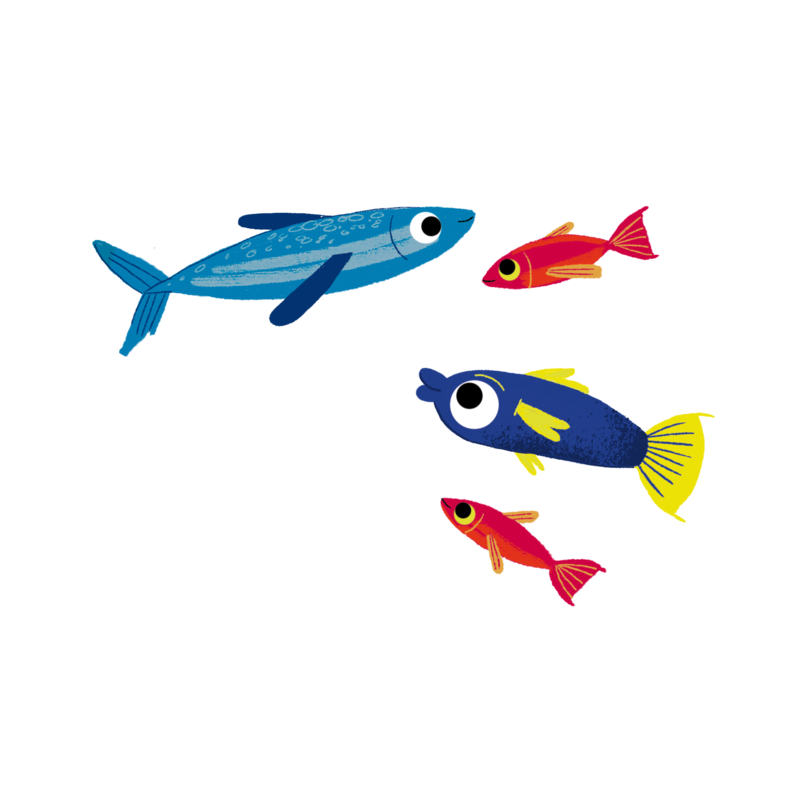 There are many food chains and food webs in any ecosystem, including the ocean. Energy moves through these ecosystems in the form of food. 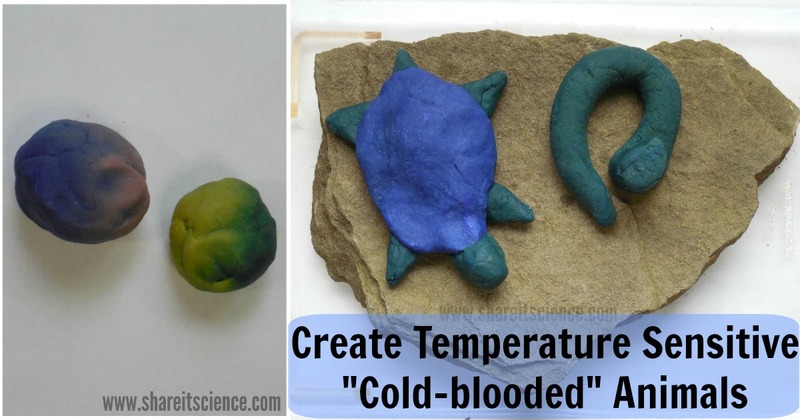 The active food chain activity outlined below allows students to model the transfer of food energy throughout a system and see it move first hand. Assign each of the groups a different color. This will be the color of the bandana that they will tie around their arm to denote their role in the activity. Give each student a paper bag or envelope, which represents their stomach. After assigning some boundaries for the play area, spread out the colored paper squares evenly throughout the area. These represent "plankton" in the activity. 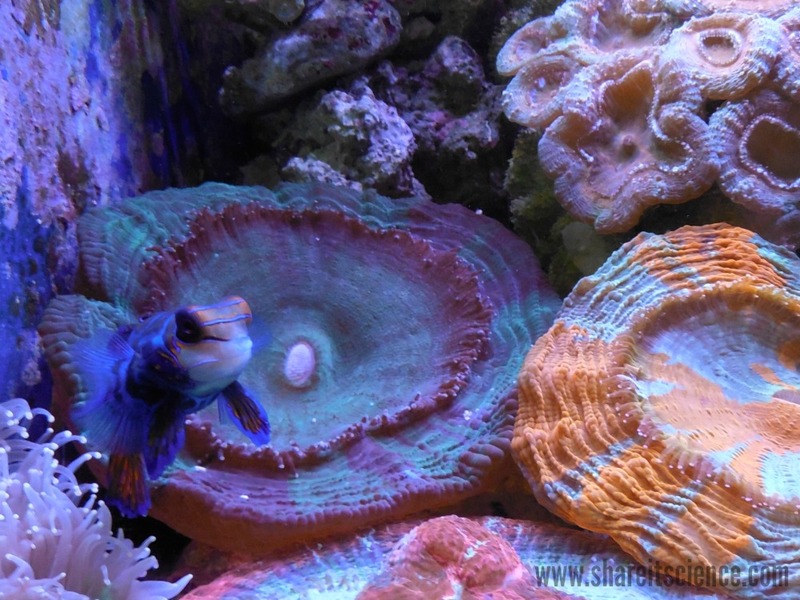 The goal of the small fish is to collect as much plankton as possible and put it in their stomachs. The goal of the large fish is to eat the small fish, by gently tagging them, and transferring all of the plankton paper squares from the stomach/bag of the small fish to their own. Give just a few minutes (no more than 5) for game play. In order to have survived the round, small fish must have 5 plankton in their stomachs, large fish must have 10 plankton in their stomachs, and sharks must have "eaten" at least one large fish with 10 plankton in its stomach. Write down how many of each animal survived after each round for graphing and data collection extensions. Be sure to discuss the results of the modeling activity. What trends do kids notice? How is this activity realistic or unrealistic? Create a data table or graph the results. Introduce the idea of a trophic, or ecological, pyramid and show how the amount of energy changes as it moves through the ecosystem. Teaching about ecosystems is one of my favorite topics. If you are looking for other great books to share on the subject of energy transfer and food chains, you will definitely want to get your hands on a copy of Pass the Energy, Please! and The World of Food Chains with Max Axiom: Super Scientist. I love Pass the Energy, Please! because of it's rhyming text and beautiful illustrations. Although it is a rhyming picture book, the vocabulary used is at an upper elementary level. The World of Food Chains with Max Axiom: Super Scientist appeals to upper elementary readers because it is written and illustrated in a graphic novel style. If your kids love learning about the ocean, then you won't want to miss these other fun ocean-themed science activities! 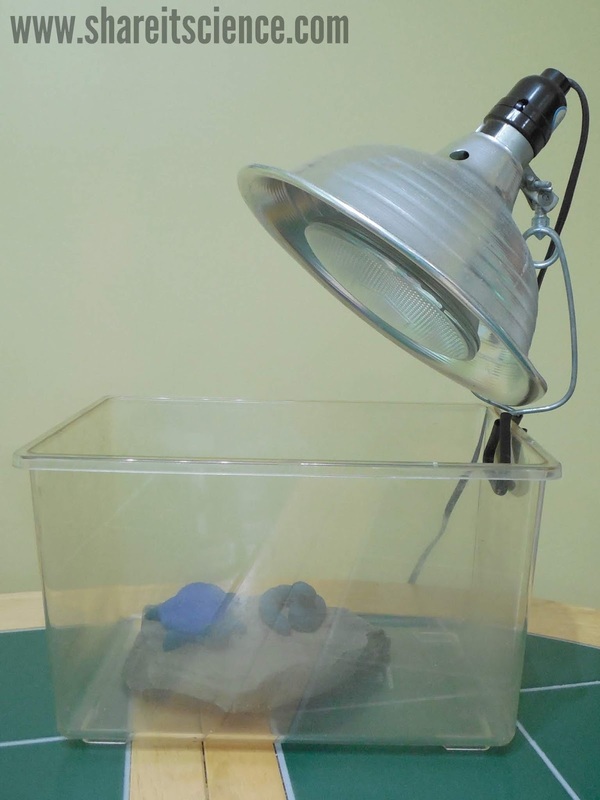 Experiment with fizzing sea shells in this activity on the Teaching Without Chairs blog, and recreate the layers of the ocean with this density activity over on From Engineer to Stay at Home Mom. Can't get enough shark science? Same here. Check out these AMAZING shark eggs we saw at the Shedd Aquarium. You'll find a bunch of shark STEM activities here, particularly fun for all of you "shark week" fans. Want to know how sharks float? 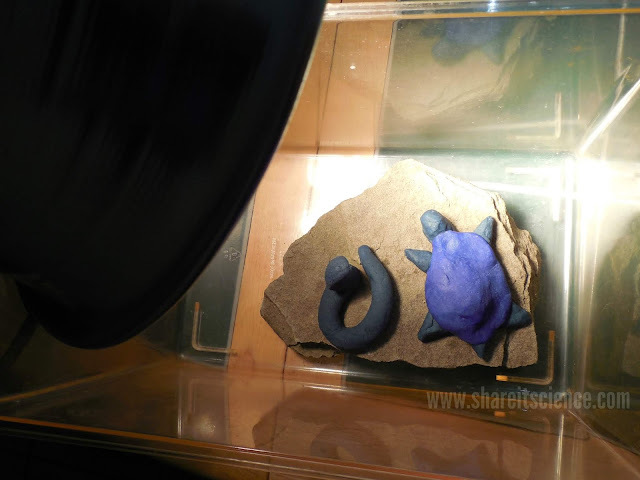 You'll find cool hands-on shark experiments here and here. You may not be aware of this, but when you purchase a book published by The Innovation Press, like How to Survive as a Shark or How to Survive as a Firefly, you are not only getting a great book for the children in your life, but also helping others. For every 10 books sold, The Innovation Press donates one book to First Book, getting books into the hands of kids and schools in need. DIY Seed Germination Jar: A Must-Have for Your Plant Unit! Seed germination is one of nature's little wonders. Giving your kids and students the opportunity to grow a plant of their own can be a magical experience. Unfortunately, we most often stick the seeds in some soil where we cannot see what happens as the seed becomes a tiny sprout. You can easily solve this problem by building a germination jar so that kids can see the entire process in action! 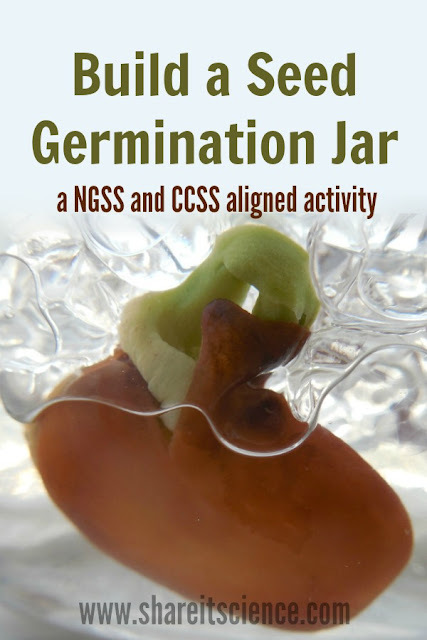 Building the germination jar is easy, and it is the perfect addition to your plant unit at school or in your home-school. This inquiry-based science activity is linked to K-2 Next Generation Science Standards and offers an extension idea to align with Common Core English and Language Arts standards as well. Paired with a wonderful children's book, you'll definitely want to add this to your spring to-do list for school or home! There are so many science lessons and life lessons learned when children grow something themselves. 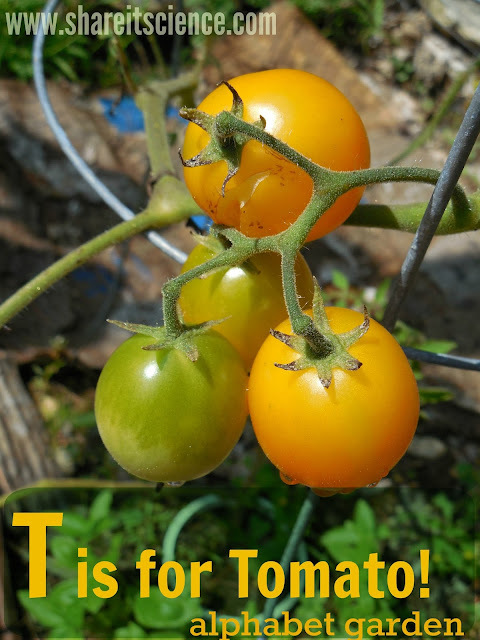 You can make this activity a part of a science unit on life cycles or just an introduction to gardening with children. First, we read One Bean, a sweet picture book by Anne Rockwell. In this story a boy plants a bean seed and watches it grow. Although told in a narrative style, anyone could follow the process of growing a bean seed themselves along with the story. The boy puts the bean in a damp paper towel to prepare it for planting. Once it is wrinkled, he plants it in some soil and waits for his seed to sprout. This is where most planting projects become mysterious! The beauty of your germination jar is that you'll be able to watch the process unfold. There are many ways to germinate a seed by keeping it moist, including wrapping in a damp paper towel like in the bean story we read. However, I like that by using the water beads, you do not have to cover the top of the jar up with plastic wrap or something else to hold the moisture in. 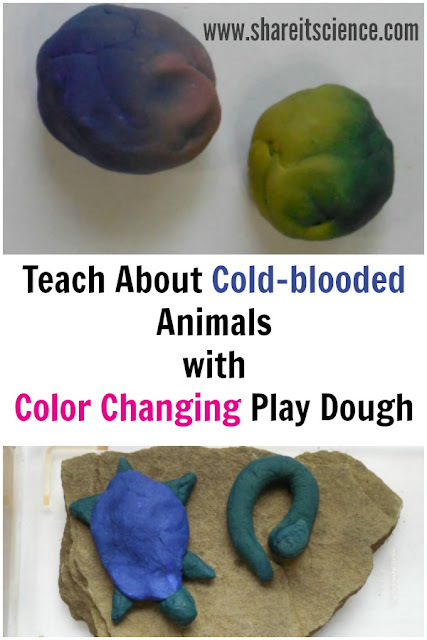 I have used that method many times to teach children about plants. It works, but it can also lead to mold growing because it sometimes stays too wet. You will have to experiment with how many water beads and how much water to use. The jar we began with ended up being far too large, so eventually we moved our experiment to a smaller glass. Start by using just a few water beads- a tablespoon of them can go a long way. Pour a bit of water on and let them absorb it for a couple of hours before adding anything else. You want your jar to be moist, but not too wet. You will need enough water beads to hold your seed in place, but not so many that there is no room to grow. This is the experiment within the experiment! 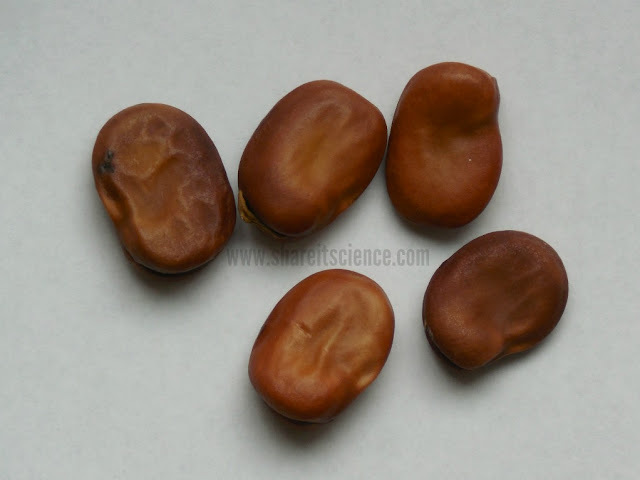 Before you start, soak your bean seed(s) in a glass of water over night. This really helps to get them off to a quick start. We chose fava beans because they are easy for small hands to hold and are large so you can really see what is going on with them. 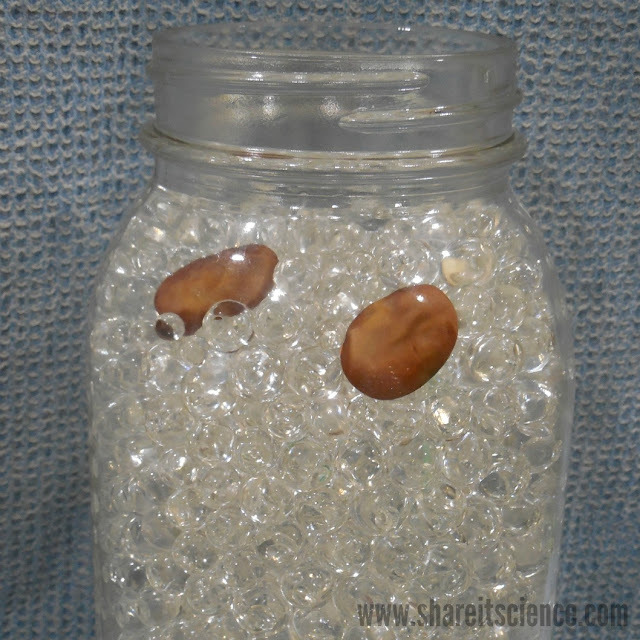 Once you've soaked your seed and prepared your water beads, place the bean seed so that it is close to the side of the glass and easy to view. Be sure that there are water beads over the top of the seed so that it stays moist. Then, you wait! Until the seed begins to germinate, you might want to give the jar a little more water each day, carefully pouring it around the outside of the jar where the seeds are. 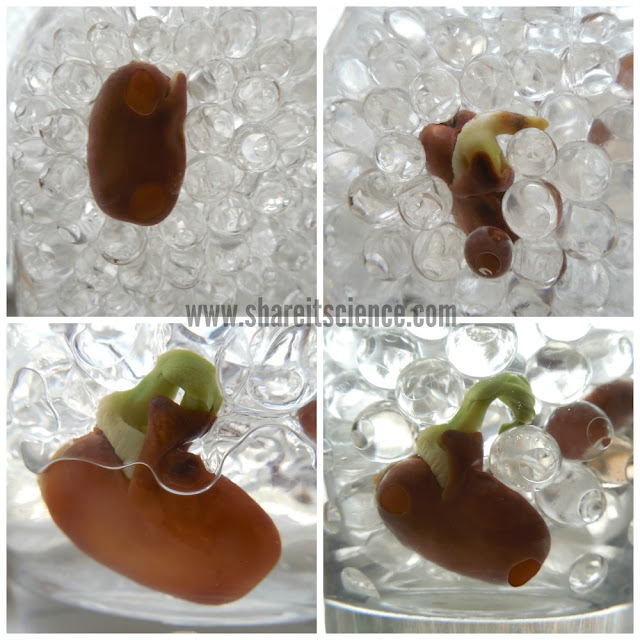 Within a day or so, you should begin to see that first part of the sprout, the radicle, emerging from the seed. Keep an eye on your jar. If your water beads seem to be shrinking, add just a bit more water. 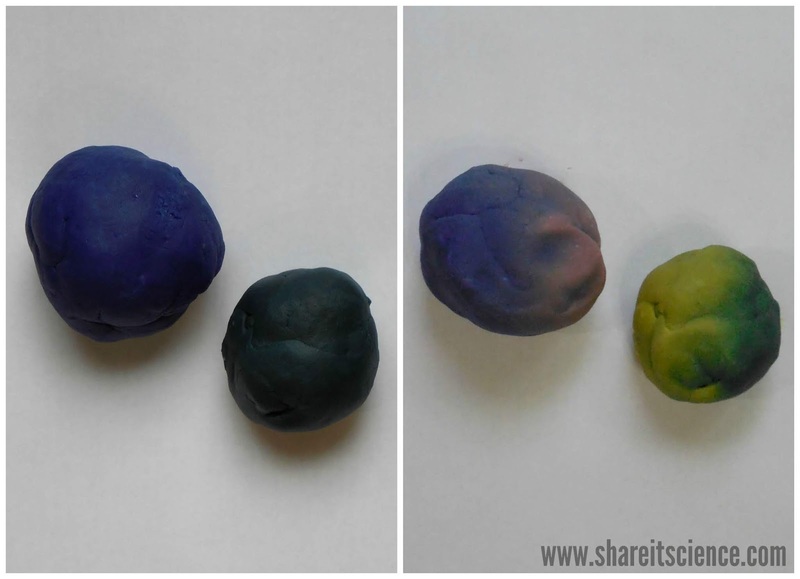 Once you have a green sprout, you can choose whether to leave the seed in the water beads, or plant it in some soil. If you plan on trying to keep your plant growing to maturity, I'd suggest planting it before too long. If you are lucky enough to have garden space, then that is the obvious place to grow your beans, but for those with space at a premium, particularly schools, I would suggest investigating growing a pocket garden on a wall. Here is one type of pocket planter, and another, different but more affordable version. This seed investigation will work towards meeting these Next Generation Science Standards for K-2. 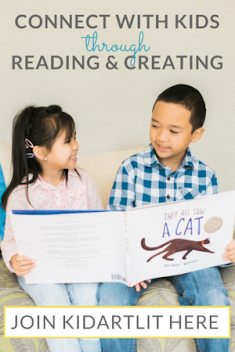 You can also work towards these K-2 Common Core English and Language Arts Standards by creating an observation journal that includes words as well as drawings. 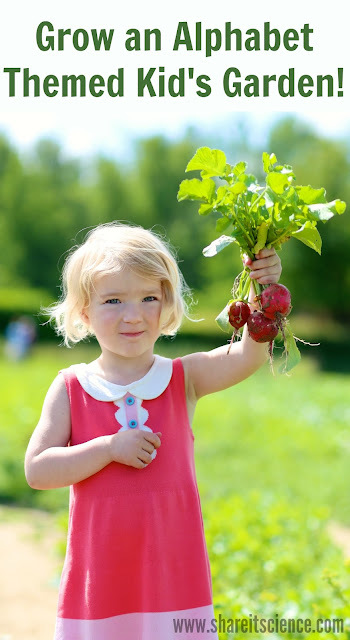 Learning with plants can continue throughout the spring and summer seasons. It is a great way to teach early measurement skills in preschool, or investigate biology concepts like pollination with elementary students. If you are looking for other ways to use those water beads, you'll definitely want to check out this cool plant experiment idea from Steve Spangler science. 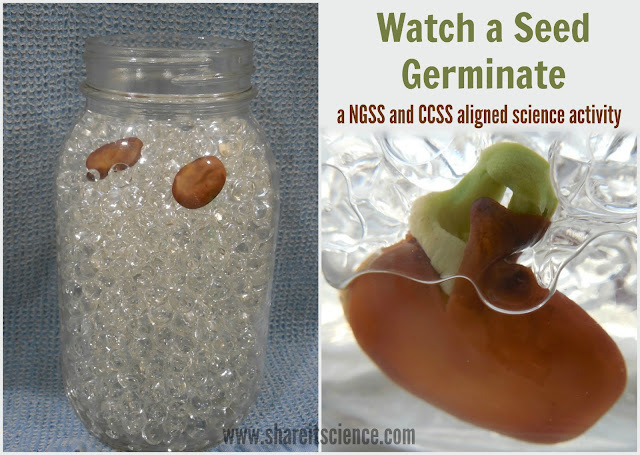 It shows how to grow a seed INSIDE a water bead. One of my favorite experimental plant projects is growing an avocado plant from its pit. Try growing a themed garden with kids. Some theme ideas are: an alphabet garden, a rainbow garden, a taco garden, or a pizza garden. Explore math and science with sunflowers, and learn the parts of the flower with students in preschool all the way through High School by doing a flower dissection. 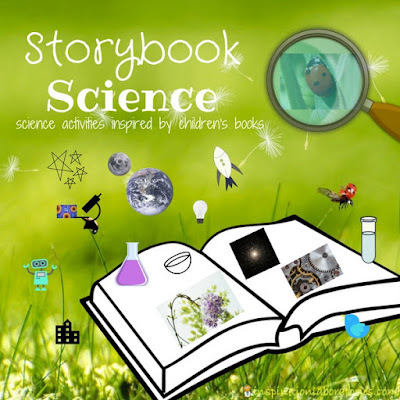 This activity is part of the Storybook Science series. 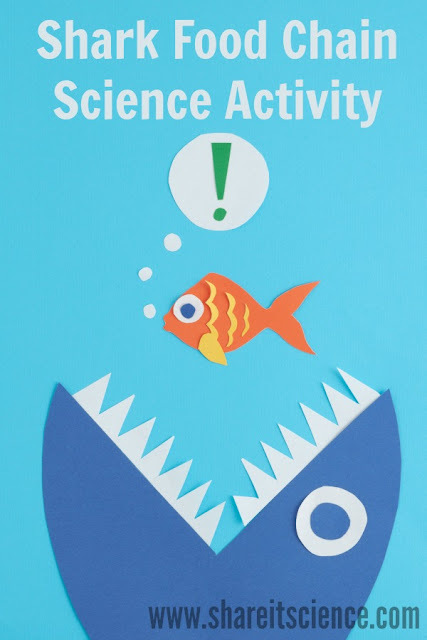 You can find more great book-linked science activities in this series on the Inspiration Laboratories blog.